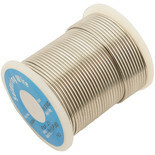 A 100g reel of standard K60/40 tin/lead flux cored solder. 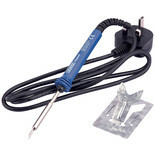 Suitable for electrical/electronic connections - not for use with drinking water. 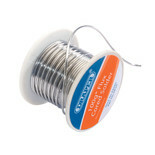 A 250g reel of standard K60/40 tin/lead flux cored solder. 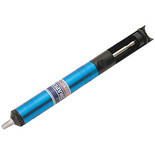 Suitable for electrical/electronic connections - not for use with drinking water. 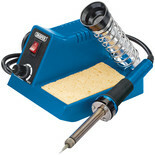 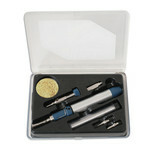 For the removal of surplus molten solder during desoldering and soldering operations. 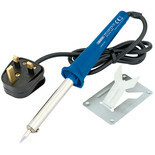 The surplus molten solder is sucked into the barrel of gun when button is pressed. 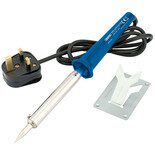 Aluminium body. 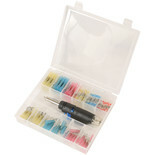 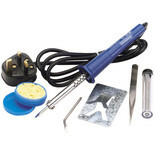 This expert quality soldering iron is complete with tip, 1.5m cable and approved plug. 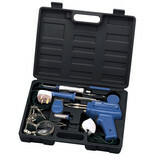 Designed for continuous use in industrial environments. 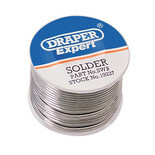 A 500g reel of 1.6mm Tin/Lead solder with a flux core to make cleaner, easier joints. 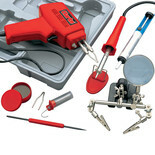 Suitabe for small to medium jobs such as earth straps, battery terminals and general wire joining.